Offering you a complete choice of products which include cartoosh biopesticide and brahmastra biopesticide. We provide a huge spectrum of Cartoosh Biopesticide. For composing this product, our trained and experienced professionals use high-quality chemical compounds and advanced processing techniques in synchronisation with the set industry standards. These products are used to control of mites in the agriculture field. Apart from this, we are also offering these products at very reasonable rates. 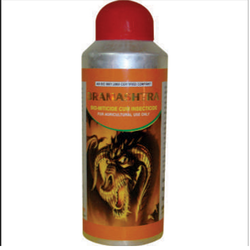 Brahmastra Insecticide is an insecticide for which we are considered an eminent manufacturer of our highly honoured clients. It is formulated using superior quality components at our unit, that are procured from our highly reliable vendors. These components are processed using technologically advanced machinery in order to ensure efficient and effective production process. Bio Insecticide is known for its unmatched quality and safe usage. We offer this at highly pocket- friendly prices and strive to make delivery within a set period of time.